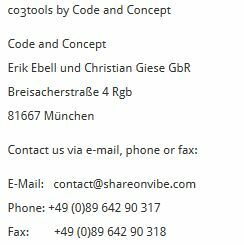 ShareOnVibe is a product by co3tools, which is a brand for collaboration tools by Code and Concept. The contact form is currently disabled. Please send us an email.